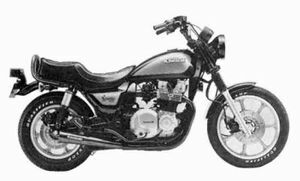 The Kawasaki KZ1100D is a motorcycle produced by Kawasaki from 1982 to 1983. 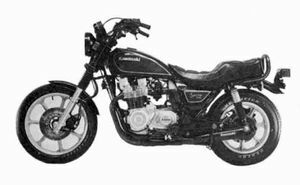 Remarks: Upgraded the Z(KZ)1000-K. Dust boot equipment front fork, black chrome plated mufflers. This page was last edited on 26 August 2010, at 18:17.